Here we have two more e.l.f. products for your reading pleasure! I don’t often use loose powder blushers as I find them quite fiddly to apply and get a decent finish – It’s all too easy to apply too much! Of these two shades one definitely stood out to me and that’s the ‘Pink’ one. A pale, almost Barbie-like pink with a subtle silvery shimmer but NOT glitter-packed. Unlike the so called peach shade that to me is more of a bronzer and has a few too many chunks of glitter for my liking. I can see the ‘peach’ shade being very easy to go over board on, especially on my pale skin – but on darker skin tones I reckon it would look lovely. 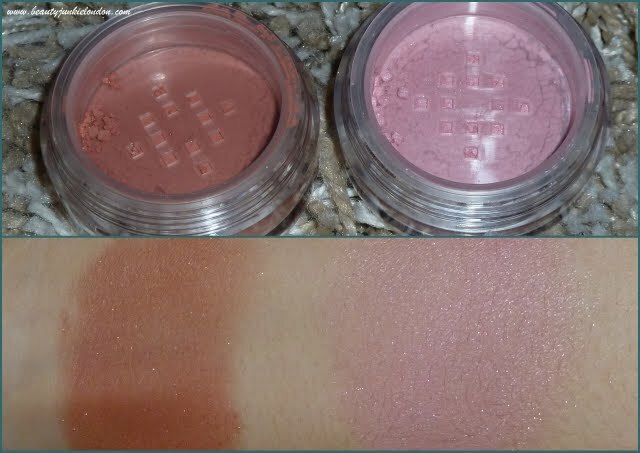 The pink shade is much more me – I need to compare this to MAC’s Well Dressed as I think they could be fairly similar. e.l.f. mineral blushers cost £3.50 so yet again hit the mark when it comes to amazing value. There are 7 colour versions of the mineral blush and Peach and Pink are the only two that are described as shimmer so I wouldn’t expect any of the other blushers to contain the same glitter as these. 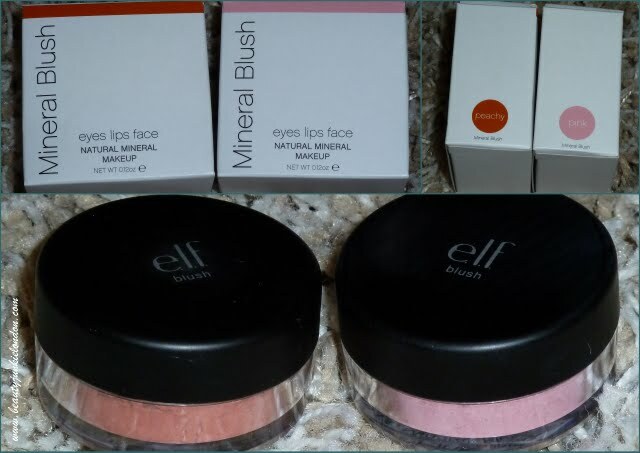 I can’t find a mineral blush called ‘peach’ so I guess you mean ‘Peachy’ on elf website?